A specially prepared trousseau of time-honoured Greek traditions, culture and recipes, lovingly assembled for future generations – to be preserved and not lost, to be embraced and not forgotten, and always to be enjoyed and celebrated. 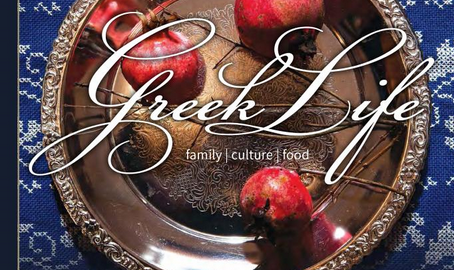 Eugenia Pantahos invites you to go on an extraordinary journey, as she reveals generations of time-honoured Greek customs, traditions, culture and recipes. Unique and inspiring, Eugenia provides us with a feast for the senses as she allows us to share in her celebration of the delightful and inimitable Greek way of life. Eugenia also enchants us with the richness of Greek history, lovingly passed down from one family to another, introducing us to traditions, celebrations and classic recipes that enliven each calendar year, January to December. 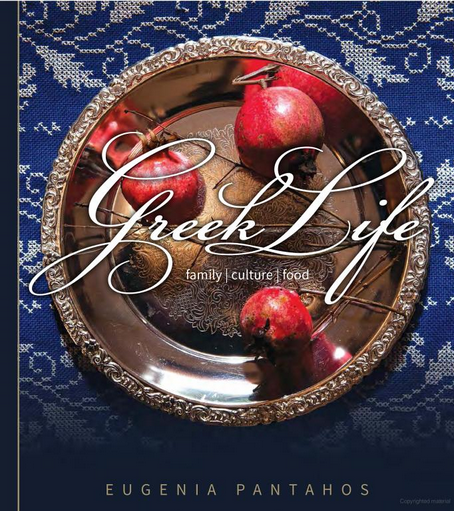 Beautifully photographed and written with deep passion, Greek Life is an invaluable reference book. It not only enriches our lives, it imparts, breathes life into and, most importantly, ensures the continuance and handing-on of these authentic and precious Greek traditions. Greek Life explains the essence of what it means to be Greek, and how to celebrate with the special spirit and joy of life that the Greeks call Kefi.